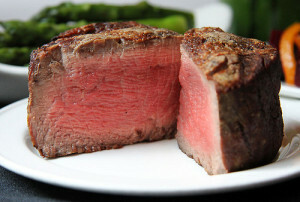 Bursting with an abundance of celebrated steakhouses, Chicago is every meat-lover’s paradise. With a dizzying amount of fantastic dining options, it can be difficult to choose where you want to spend your hard-earned dining dollars. In order to narrow down a list of the top steakhouses in the Windy City, we asked the help of some of Chicago’s finest food bloggers. With the expertise of Mary Jo Luppino of Carb Before the Storm, Rhonda Mix of Midwestern Adventures, Dwight Casimere of Dwight the Wine Doctor, and Carole Brewer of Show Me Chicago, we were able to come up with the ultimate meat-lover’s guide to Chicago steakhouses. Enjoy!